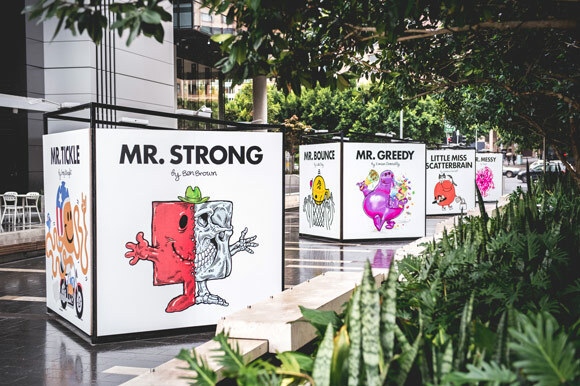 As part of Vivid Ideas and Vivid Sydney 2016, artists from Australia and overseas have created their own versions of these iconic characters to feature in a month-long exhibition that will celebrate 45 years of the MR. MEN™ & LITTLE MISS™ worlds. 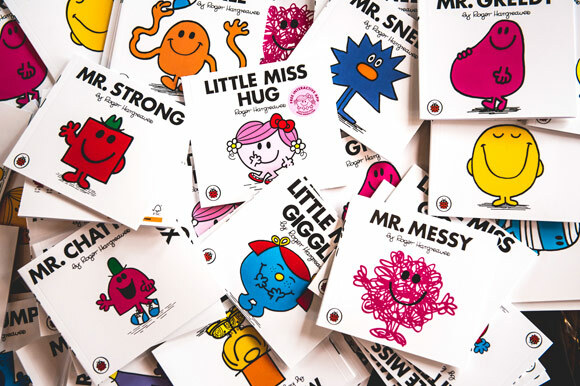 With their simple storylines, bright colours and boldly drawn illustrations, it wasn’t long before Roger Hargreaves’s MR. MEN™ series became a worldwide phenomenon. The first title, ‘Mr. 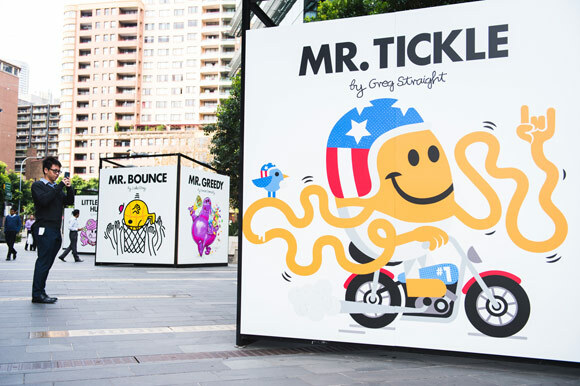 Tickle’, was created in 1971 after Hargreaves’s son Adam asked him what a tickle would look like, and dozens of books followed, including the LITTLE MISS™ titles in 1981. 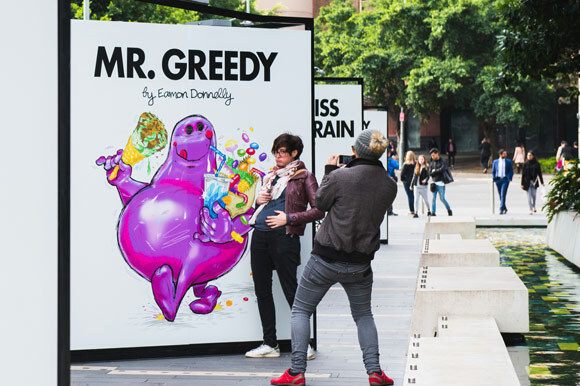 Today there are over 80 books in the series and a global market for merchandise. 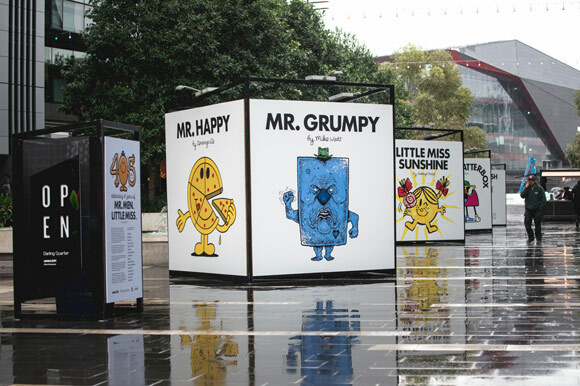 This is the first time permission has been given for the characters to be reinterpreted based on the individual styles of the featured artists, who will include 123KLAN (Mr. Chatterbox), Ben Brown (Mr. Tickle), Bei Badgirl (Little Miss Hug), Jeremyville (Mr. Happy) and Meggs (Mr. Messy), amongst others. 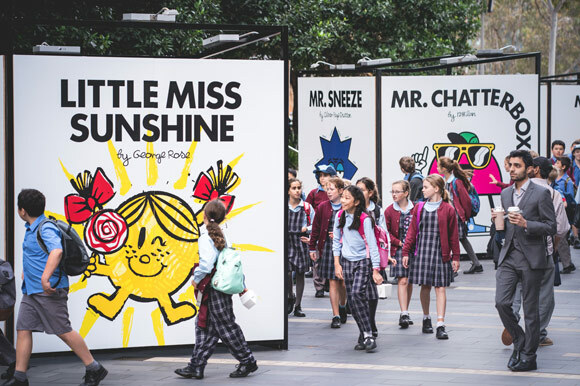 Curated by Eddie Zammit, and presented by aMBUSH Gallery, Darling Quarter and T-world, this world-first exhibition will provide viewers with a unique insight into the world of the artists, and a fresh take on the characters of known to generations. 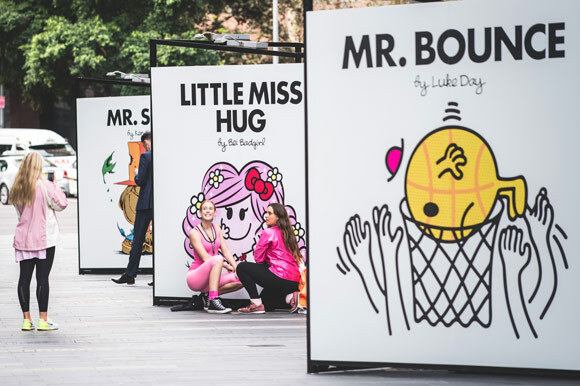 ‘Redrawn: Celebrating 45 years of MR. MEN™ & LITTLE MISS™’ is open 24 hours, 7 days a week from 1 June – 30 June at OPEN, aMBUSH’s outdoor public art space in Darling Quarter’s Civic Connector. 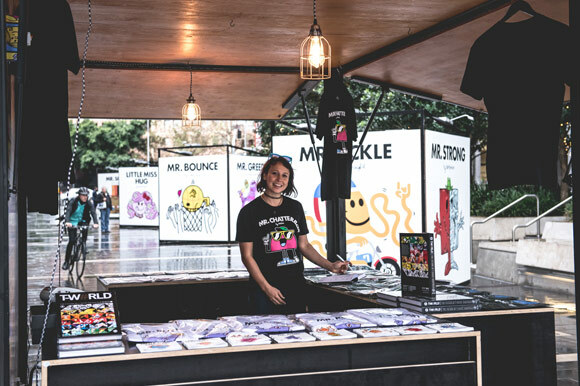 A pop-up shop will be run by T-world each Wednesday to Sunday, from midday – 9pm during June.